Under a snood of hodden grey. The Spring comes slowly up this way. Where is her green that was so gay? Where are the lads that used to play? The trees are out in Heaven they say. The Spring comes slowly up our way. But the good news, I hear you all exclaim, on tenterhooks and at the edge of your seat? Well my monster-length novel, Power of the Song (the working title) has just been accepted by Master Koda Select Publishing, as have I, as one of their writers! Good vibes and with such an immense novel that I was certain no one would want…and now I join those hallowed ranks! I’m cheering now…can you join me? So today I’m hosting DeEtte Beckstead on my blog…and she’s telling us about everything to do with her writing, including a tale about a puppy mill dog and the life she had with this lovely, supportive woman as well as her tips for being a writer. What is the title of your newest release? 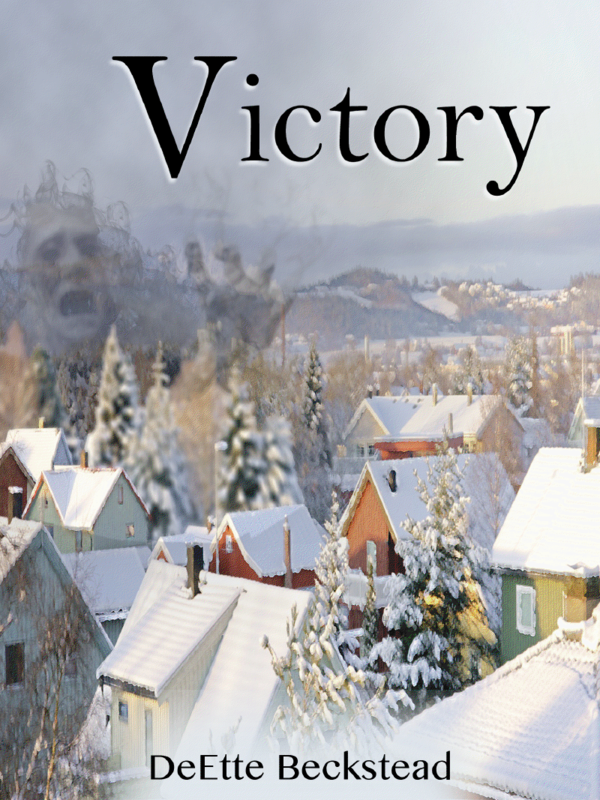 Victory is my newest release. It came out in December 2012. Do you have any books in the works? I have a book called From Tinker to Belle: From Worthless to Priceless. That is the story of my first puppy mill rescue: her life in the mills, her rescue, and how she changed our family and others. I have another book of stories about my grandchildren as superheros. I asked them each to tell me what they would be like as a superhero, what their costumes would be, what superpowers they had. Using the information they gave me, I write stories about them. It’s a fun project, and a gift to each of my grandlings! When you read, what is your favorite genre? I like to read Christian fiction, historical fiction, and classics mostly. There are some I have read by my fellow authors that I have really enjoyed, even though I wouldn’t have chosen that genre for myself! Do you have any hobbies? What do you like to do in your free time? Crocheting is one of my hobbies. All my grandchildren have toys and clothes I have made for them. They will often ask me to make them something special, and I will do it. I also crochet dog sweaters, afghans, shawls, and doilies. Right now I am making a butterfly swag for one of my granddaughters with over 30 different crocheted butterflies on a crocheted vine. In my free time…. what is that? I always seem to have something I need to be doing, but I like to read, watch old movies, play with my grandkidlings, or crochet. I also love to visit historical sites! If you would have time travel abilities and could meet anyone from any time, who would you like to meet? Oh, so many choices! It’s hard to pick just one! At the moment, I think I would like to meet Galileo Galliel. As the Father of Modern Science, I would love to chat with him about what he thought about his discoveries and where those discoveries have taken us now. What is your all time favorite movie? That’s a tough question. I have many favorites; it depends on the mood I am in. I love August Rush, The Sound of Music, Pride and Prejudice, but of all the movies I have seen, It’s a Wonderful Life has got to be at the top of my list! Are there any specific authors that you admire? There are so many! Jane Austen, CS Lewis, JRR Tolkien… Of my peers, I admire Kim Emerson, G Mitchell Baker, Joe McCoubrey, Brad Fleming. There are others, too! What advice would you give to aspiring writers? Write about what you love. Don’t worry about making it all work to start with; just write. There will be time later to go back and make corrections, adjustments, deletions. Write what you feel. There is that old saying “Strike while the iron is hot.” When you know you have something to write, get it written then. Carry a notebook and pen with you to make notes or write complete scenes if you are away from the keyboard. If a word count is important, don’t fill in with words that don’t add to the story. Just write. Once the first draft is finished, you can go back. Don’t be afraid of editors; they are your friends, there to help you make your story the best it can be. Find the method that works for you and stick with it, even though your best writing buddy uses a different style. If you need to write an outline and character sketches first, do so. If you write better just sitting down and writing, do that. Whether or not you ever get anything published, you are a writer if you write. Do you plan on being a full time writer, or do you have other career plans? How long have you been writing? I have been a stay-at-home mom (whatever that means! I certainly didn’t stay at home much with six kids! ), a preschool teacher, a teacher at a private school, a trainer for people with disabilities, and a group home manager…. All that was before I started writing in 2007. Now I love to be with my grandchildren and taking life a little slower. Do you prefer Ebook, paperback, or hardcover? Personally, I love the feel of a nice hardcover book in my hands! Paperbacks are next, and ebooks follow that. However, since I have a limited space, I am thankful I have the Kindle app on my iPad and can carry an entire library with me wherever I go! I think the most important part is being able to read, not so much how it is available! Do you have any writing rituals like a particular treat, good luck charm, etc.? Not really. Before my little dog died, he used to sit on my lap or at me feet while I wrote. I would read to him and he would listen politely. I do write better with some background sounds, like the TV or music. I prefer classical music. I don’t have a particular composer or show I like. Do you have a set writing schedule or do you write when the fancy hits you? I write when, as you say, the fancy hits me. My schedule is never certain right now, so I make use of the time I have. I carry a notebook with me to make notes when I am out if something strikes me as write-worthy! Thank you so much being my guest, DeEtte! Please share your bio and links where others can connect with you and your books. Author and blogger, DeEtte Beckstead started writing in 2007 when her son challenged her to get involved in the National Novel Writing Month, known by the acronym, NaNoWriMo. The manuscript sat untouched with several others until January of 2012 when a good friend encouraged her to seek publication. 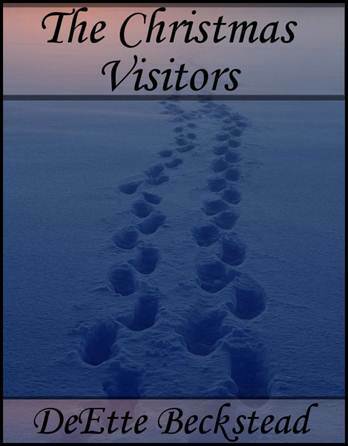 The Christmas Visitors is her first published short story, and her current novel, Victory is also her first. DeEtte spent much of her childhood playing the piano, clarinet, and guitar, reading, and making up stories. She was active in Girl Scouts, which gave her a variety of experiences. While in college, she was on the University of Utah Synchronized Swim team, and taught winter camping and survival skills for Girl Scouts. She has spent many years working with people with disabilities. 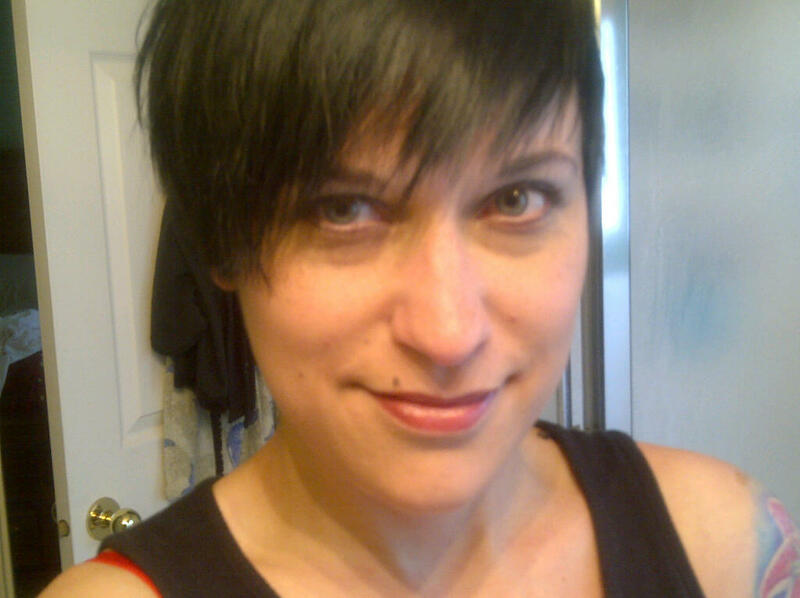 Originally from the state of Utah, currently DeEtte lives in New England where she writes full time and works on the editing team of Master Koda Select Publishing. 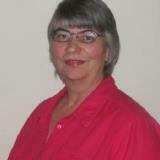 Her other interests include swimming, crocheting, reading, traveling, history, and her grandchildren. In addition, this devoted mother of six and grandmother of twelve has been a concerned participant in dog rescue services for many years. What does America’s Next Author mean to me? Other people are fascinated by the ideas represented in the story. Two friends, close enough to call themselves sisters, are torn apart by the depression of one and her failure to care about the responsibilities she has. What made people even more interested was that these weren’t humans – these were wolves and yet they had emotions like those everyone feels. Relying on other people to review and vote is a patchy business and yet I’ve managed to remain in the top ten for the last week and a half! I’ve had a lot of support from friends and writing groups, who often go and hit the tweet button. The reviews count as well, as I prefer honest reviews. If you love it, write that and more importantly…tell me why! If you hate it, again – I want to know why you hate it. An author can only progress with the constructive criticism of the type I’ve received, so thank you to everyone who HAS reviewed it. Interested in reading yourself? Does this synopsis sound like something you could enjoy? If so, then take a look here! Dominique Goodall is the author of the soon to be released Echoes of Winter, book one in the Seasons of the Wolf series and a self-confessed wolf addict. She has currently been published in two anthologies by Crushing Hearts and Black Butterfly Publishing and is currently working on getting herself better known by sending in manuscripts for as many different anthologies as she possibly can. As much as she loves to admit it, she never will be able to count her wolf stuff- there’s nothing left for her to be truly able to collect without her own home. The morning of her sixteenth birthday, Billie feels blessed despite the reoccurring nightmare that wakes her. Loving parents, a caring boyfriend, and great friends surround her until an heirloom necklace throws her into a world she never imagined. “Gifted” with supernatural powers and an unexpected destiny as the Keeper, Billie and a mysterious boy from her past must work together to find answers. But, as they begin to discover feelings for one another, he disappears leaving her to fight evil alone. Her life spirals out of control. She breaks up with her boyfriend, Tony, and alienates her best friends Arianna and Jocelyn to protect them from the truth. As dark forces pursue her, Billie longs to run away from it all, yet a need to do what’s right compels her to face the future as the keeper of more than her own fortune. “I have something special for you. Sit, I’ll go get it.” And before I knew it, she rushed down the hall. “Um, thank you. How old is it, and where did it come from?” I questioned because it even smelled old. “No one in recent memory knows the answer to either question. We do know it is an honor to receive it, and you have to wear it for your whole birthday, no matter what,” Mom explained. “Or what, I will have seven years bad luck?” I didn’t know what else to say. “No, worse, a whole life of bad luck.” Mom said it so seriously. “Well, if that isn’t convincing enough, put it on me!” I was not superstitious but why take chances? I lifted my flat ironed hair out of the way, and Mom placed the chain around my neck. The second I heard it click into place, I felt funny, and I swear the jewelry’s temperature rose. I stood up in a state of a panic as it warmed and the heat spread from my neck throughout my body. Everything went white, and then pulled out. “Do I want to know?” he asked uneasy. “Probably not, so if you want to call it quits and go on with your life I would totally understand because all of what I have to tell you is unsettling and will be life changing. If you want out, now’s the time.” I waited. “You need to be absolutely sure you want to know before I tell you. So think about it for a few minutes.” I had an awful feeling in the pit of my stomach for him. He nodded, and we followed the overgrown trail for a while through curves and switchbacks. The path led through all kinds of trees and wild growth. Never have I seen such beauty in autumn. I could see yellows, oranges, and reds all around us. It would have been silent if it weren’t for the fluttering leaves and nuts falling from the trees, and our feet crunching over the dead vegetation on the ground. I stomped my feet, and I liked the noise it made. Crunch. Crunch. Crunch. I put my arms out and spun in a circle while crunching. I felt giddy. I almost forgot where I was and why. Ty regarded me as if I’d lost my mind, which I probably had. “What?” I asked as I spun past him. “Just watching you.” He continued to watch with smiling eyes. “It’s fun. You should try it.” I grabbed his hands because he wouldn’t come willingly, and we spun and spun until we were dizzy. We fell to the ground and lay there for a minute to catch our breath and get our heads straight. I watched him. He seemed genuinely happy, and I felt genuinely crappy. Could I really take away his happy life and innocence? That’s exactly what I was about to do by unleashing the truth. I sat up. He too sat up and looked toward me. “You okay?” He twirled a strand of my hair. I knew which bit of hair, too; the one that always curled away on its own. “I don’t want you to tell me…not yet. First let’s have a few more minutes of normal.” He reached for my chin and tilted it toward him and pressed his lips to mine. We lay back in the leaves holding and kissing one another. We were consumed in each other’s sweet perfect kisses. I pushed away from him and lay my head on his chest. He stroked my hair as we listened to the sounds of Mother Nature. I could hear his heartbeat, and it was calm and soothing. It didn’t match mine. I jumped to my feet in a split second. I was on total alert. My heart pounded so loud I felt it in my ears. “What’s going on?” Ty asked. Still on the ground where I was a second ago, he swiveled his head around. He took my hand. I pulled him to his feet. He gasped. With a peck on his cheek, I told him, “Go. Run.” But he stood there not moving. I saw and heard nothing. I closed my eyes and went into my mind to see what might come in the near future, and it wasn’t pretty. “I might need to take my own advice and run.” I took Ty’s arm and dragged him along with me. It was too little, too late. We were surrounded. “What can I do?” His voice crackled in fear. His head whipped around looking from one monster to the next. The creatures completely surrounded us. There was no way out, and they were hungry, hungry with a desire to kill. I could hear them in my head: kill. “Try to stay alive,” I said. I felt sick to my stomach because I knew he wouldn’t make it through this. Three years ago, if you told me one day I would love to read and write, I would have told you you were crazy-out-of-your-mind. Since then I have read 150+ books and written 2 complete novels (one of them being The Keeper) and I have 3 more in the works. When I’m not reading or writing, I can be found with my husband supporting my two children on the soccer fields. Or maybe running around with my camera taking photos while camping and/or hiking. Or lastly, and most probable – I’m watching movies on Netflix while simultaneously perusing Facebook. Our family resides in the state of Virginia along with our old-unintelligent-diabetic cat named Lucky. Today I’m hosting Ed Griffin on my blog – and what we’re talking about…is deleted scenes- though with Ed, his deleted scene was…about wind. Without further ado….ED! This is the first draft of the first chapter of my novel. I felt this chapter was almost poetry. It was all about the wind. My friends and writing teachers told me to drop it, unless the story was going to be about the wind. This hurt me a lot. I loved this chapter. But they were right. The first chapter should introduce the hero. The wind was more of an adversary that a hero. For centuries the Devil Wind blew across the island of Adak in the Aleutians. Even before Adak was an island, when it was part of the Alaskan Mountain Range, the Devil Wind screamed through the rough terrain and beat to the ground any vegetation taller than tundra grass. The Devil Wind watched earthquakes shake the land and divide it. Adak became an island, only twenty miles wide by thirty miles long. The cold waters of the Bering Sea met the warm waters of the Pacific and moisture poured onto Adak, rain and fog, sleet and snow. Travelers arrived, the Aleuts, bold men and women, descendants of those who had crossed the land bridge from Asia. They came in their kayaks and they stayed on Adak. The Devil Wind hid in the mountains and roared down on them, smashing their tiny encampments, blowing out their fires, and capsizing their kayaks. Sometimes it found a child alone on the tundra and in seconds it stole all the warmth from the child’s tender body. The Aleuts put a name to this Devil Wind, Williwaw. Williwaw, the Devil Wind, watched as Russian fur traders arrived in the eighteenth century and, in trade for seal pelts, gave the Aleuts social diseases and slavery and death. He knew that the Russians, too, would soon be gone. And they were. For two hundred years Williwaw ruled supreme over Adak with only an occasional hunter or fisherman to torture. Then on August 28, 1943 Williwaw met his match, an invasion force of the United States Government. In ten days Army Engineers and Navy Seabees built a runway, devil wind or no devil wind. Adak became a powerful base of ninety thousand troops bent on driving the Japanese from the islands to the west. The war ended and the Navy stayed. Williwaw flattened buildings, smashed aircraft, injured people, but still the Navy stayed. In fact, they defied Williwaw. They constructed a city of gale-proof buildings and called it ‘Downtown Adak’. They dug tunnels between some of the major buildings and they told every child to seek shelter in a Williwaw. In 1951 they planted twenty trees even though Williwaw allowed no trees to grow on Adak. He uprooted every tree seedling whether brought to Adak by a bird or by the wind or by a boot. The Navy hammered a sign into the tundra, “Adak National Forest”, it said. The sailors nurtured and protected the trees. No matter that generations later the trees were still no bigger than the sign itself, the act of defiance had been done. The Navy had planted trees on Adak. In 1958 a contractor, working for the Navy, carved a totem pole and near the top he chiseled the image of fierce Williwaw. The Navy put the totem pole in the parking lot of the community center and Navy families would gather around it for a snapshot to send home to Aunt Gertrude. In 1985 McDonalds built wind proof golden arches in full view of the totem of fierce Williwaw. At the Eagle’s Nest Officer’s Club, the senior weather officer would sip his dry martini and explain pompously to the new officers that, “Yes, Williwaw has been clocked well in excess of 60 knots.” If he had many sips of the dry martini, he would dramatically show the youngsters how the wind would dam itself up on one side of the mountain and then, suddenly, – here he would often spill his drink – it would flood over to the other side of the mountain and create a williwaw. It’s the kind of place drives a man insane. It’s the Aleut American Rock. Just thinking ’bout the people back home. And the sky’s gonna turn a hazy gray. Just countin’ all the eagles over here. Williwaw was tamed; he’d been snapshoted, studied, built against and sung about until he didn’t feel much like a devil wind anymore. Tiny Adak sits on what is known as the ring of fire, a belt of active volcanoes that encircles the Pacific. Worse still, Adak rests on a line where two giant plates of the earth’s surface collide, an earthquake zone. But it was not Williwaw or volcanoes or earthquakes that put an end to the Navy base on Adak. It was peace. In the early 1990s the Soviet Union fell apart. The Pentagon questioned why they were spending millions on a base to watch the Soviets, when the Soviets, as such, did not exist anymore. The Navy turned the base back to the Aleuts who put it on the world wide web to see if they could sell it. “It would make a great prison,” they said. State legislators made speeches, “Let’s send all our inmates to Adak.” But it was too far away. What guard would like to leave Oregon to go to Adak? 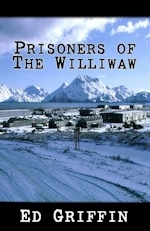 Williwaw celebrated the departure of the Navy and the failure of the Aleuts to make a deal. It was his island again. One morning at three fifteen an earthquake measuring 7.1 on the Richter scale struck Adak. Suddenly the north half of Runway B was four feet lower than the south half. The pipeline that brought the clear, cold waters of Lake Bonnie Rose down to the Naval Station broke in three places, and the Birchwood housing area shook itself down to rubble in less than a minute, wind resistant roofs and all. Over on Great Sitkin the earthquake put intolerable pressure on the magma chamber and Great Sitkin blew, throwing rocks and fire and ash into the Bering Sea. A giant rock sailed through the wind-proof top of the Operations building and destroyed some of the best radar equipment in the Pacific. Another rock destroyed the Yakutat Hobby Store which so many people had relied on to keep their sanity on this hard duty station. Ash covered the island and the sea lions on the Yakak Peninsula snorted at the gritty substance in their lungs and rolled their fat bodies back into the Bering Sea. But the greatest tragedy came from the tsunami, or tidal wave, that roared in seconds after the earthquake. The cold waters of the Bering sea came towering into Kuluk Bay and without a second’s warning fell on top of the hospital and sucked half the building out to sea. Just to the east of the hospital, on the shores of Kuluk Bay, Petty Officer John Kerner woke suddenly, bounced out of bed by the earthquake. Kerner’s title was liaison with the Aleuts, but really he knew he was a handy man who spent most of his time cursing Williwaw and repairing roofs. He had moved into the best housing on Adak, a cottage on the shores of Kuluk Bay. Here he could watch the storms coming or going over the water and once in a great while he even saw the sun, especially in the morning. A few steps out his back door was the beach where his two boys, Timmy, five, and Jack, seven, built forts, collected shells and watched the sea otters rolling over in the cold waters of Kuluk Bay. Kerner ran across his vibrating floor to check on the boys. He heard a noise, turned his head and saw Kuluk Bay coming in his large picture window. The water smashed him against the wall and pinned him there. Suddenly the flow reversed and he was sucked to the front of the house and wedged beneath the picture window. He opened his mouth in a desperate attempt to get air to his lungs. As he did he saw Timmy and Jack being sucked through the picture window into the Bay. As the new millennium dawned, Adak was abandoned as most of the Aleutians are. Williwaw ruled supreme again and laughed as he worked at the wind resistant roofs. The years passed and the Adak National Forest grew a few more inches and the number of Norway rats increased. Williwaw thought highly of the rats, for they destroyed the works of man just as he did. The committee chairman nodded his head at Murphy. They both knew the real reason this island prison was going forward — a certain friend of the committee wanted to set up an electronic assembly plant where he could pay less than third world wages. The prisoners had asked for waterless, uninhabited Kahoolawe, just south of Maui in the Hawaiian Islands. The Navy used Kahoolawe for target practice and the joke around Washington was to give the convicts what they wanted, but not tell the Navy about it. Congressman Jack Murphy, however, heard a lot from his constituents about giving these killers a Hawaiian Island. “Hell, I wouldn’t mind having one myself,” they said. And so tiny, treeless, waterlogged, cold, windy, rat-infested Adak was chosen as the site of this new experiment. When the first plane landed and the convicts filed out – their arms and legs chained together – Williwaw laughed. No US Navy here. These three hundred and their families would soon be gone—killers, thieves, and rapists. So today I’ve interviewed Tara Chevrestt on dogs, stalkers and road rage. Read on to see what she says about them and other things, too! Favorite meal? That’s a hard one. I like such a variety of foods. I’d have to say my own Sofrito spaghetti. I also call it Puerto Rican spaghetti. Something a stalker would like to know? I have a gun and I know how to use it. What do you do when you are not writing? I’m reading or editing or playing with the dogs. I also love watching classic movies. I’m a big fan of Cary Grant and Humphrey Bogart. What gave you the idea to write Dog Tails? Whose point of view would you say you agree with…Lola, Pudgy or Jazzy? Lola is the most like me. She has an attitude and if you mess with her, she’ll mess with you back. Though I’m not in the habit of crapping on people’s patios…I’m not one to be trifled with either. Do you think they’ll have more adventures you’ll need to mention in the future? Have you ever gone out in public with your shirt on backwards, or your slippers on, and when realizing it, just said screw it? No. If I did, it would freak me out and I would have to find the nearest restroom and fix it. Do you prefer fuzzy or tub socks? Are you a person who makes their bed in the morning, or do you not see much point? I don’t see the point. I know if my mother reads this, however, I’ll get an earful. Shhh. Do you get road rage? What p****s you off the most about other drivers? Yes! Tail-gaiting is one. I often curse at the person to get off my a**. I also hate those drivers that don’t even drive the speed limit until you decide to pass them and then suddenly, they hit the gas. Do you go out of your way to kill bugs? Are there any that make you screech and hide? I am not fond of bugs. I don’t like approaching them to kill them though either. I will throw shoes at it till it dies. What really gets on your nerves about people? People that don’t understand pets are like children. They buy a pet and act like the pet is a disposable item. That really angers me. I don’t condone it. We need to raise pet awareness. Tara Chevrestt is a deaf woman, former aviation mechanic, writer, and an editor. She is most passionate about planes, motorcycles, dogs, and above all, reading. That led to her love of writing. 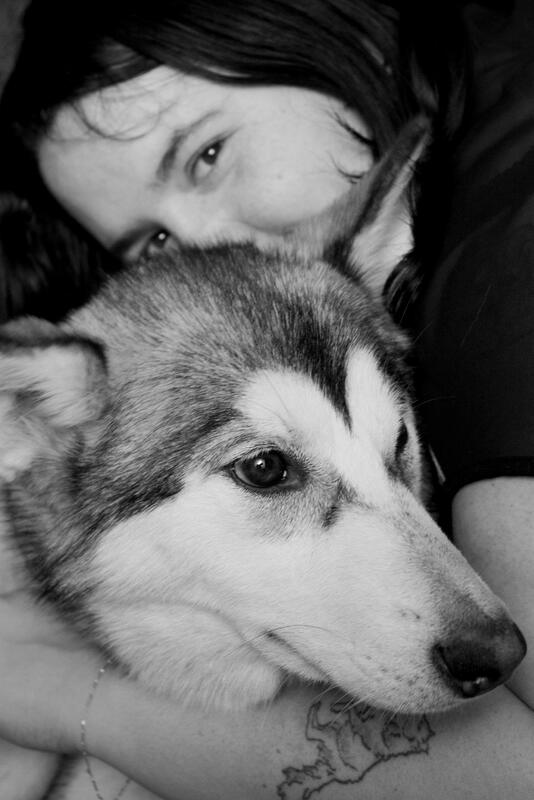 Between her writing and her editing, which allows her to be home with her little canine kids, she believes she has the greatest job in the world. She is very happily married. Tara also writes as Sonia Hightower. Sonia writes the racy stuff and argues that she was here first. She just wasn’t allowed to be unleashed until the last year. 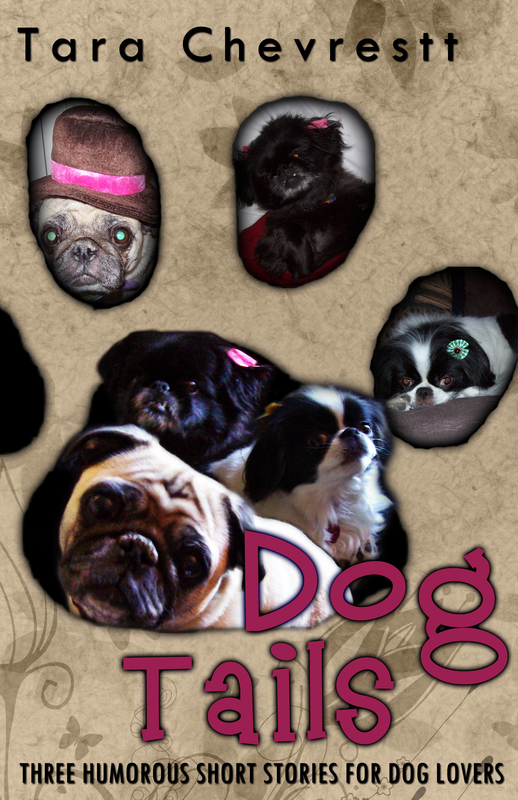 And here’s the cover for the immensely funny Dog Tails – the adventures of Lola, Jazzy and Pudgy. This week, I am hosting an amazing piece about Marilyn Monroe, the things people remember her for and the charities she supported. Lets hear it for….K.R. Hughes and T.L. Burnes ! On August 5, 1962 Marilyn Monroe’s life ended all too soon. She left a nation of fans who mourned her then. And now, people from all walks of life and from all around the world mourn her still today. 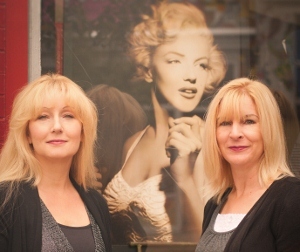 Fan groups for Marilyn Monroe reach around the globe. On Facebook, Marilyn has three million-plus fans, 70 percent of them under the age of 24. She also has some 53,000 Twitter followers. This tells its own story don’t you think? That although she is dead in body, she is very much alive in everything else! Marilyn Monroe is remembered for many things. Movies, songs, commercials, photo shoots, just to name a few. Stars today are claiming that they think of Marilyn before an important event trying to emulate her as much as possible. They have photo shoots copying Marilyn’s past shots and outfits. She was and still is considered the sexiest woman ever. We don’t think the world will ever be over Marilyn. So, as the authors of What She Knew, we wanted to celebrate her ‘un-lived life’ by honoring her memory and giving the world a look into ‘what if Marilyn Monroe had lived?’ Ours is a story of what never was but what could have been if she had lived. You can check out details about our book at http://www.whatsheknew.com. For all of August, we are honoring Marilyn . We are hosting special book signings; supporting two of her favorite charities, March of Dimes and St. Judes Hospital; sharing little known secrets on radio shows; and other signature events all this month. Here’s how you can take part. There are several ways that you can join us in this celebration. We are hosting several contests to enable us give to lots of money to the above charities and offer you a wonderful prize for participating. 1) Submit your favorite Marilyn Monroe quote to whatsheknew@gmail.com or as a comment to this post. Winners are randomly drawn weekly for various What She Knew signature prizes. 2) Buy our book, any format; send us a screen shot of the purchase to whatsheknew@gmail.com. You will then be entered in a random drawing to take place on Sept 1st to win the grand prize. That’s all there is to it! Easy right? And, know that by purchasing the book you not only have a chance to win the grand prize (details below,) you too are helping support Marilyn’s favorite charities. ~~One hour of Skype time with us, the authors. You can ask anything book or writing related. And, as a bonus, if you purchase a paperback version of the book we will give you two entries and if you purchase a hardback version we will give three entries for the grand prize drawing! Ebooks count as one entry. Thanks in advance for participating in this month long contest. Remember, What She Knew books make excellent gifts for others. So purchase the book(s) this month so that you have a chance at cool prizes, you can help Marilyn’s favorite charities and have your gifts for the upcoming holidays all taken care of!! Hughes is an English major from Amarillo, Texas. She now resides near Atlanta, Georgia. She enjoys writing with her co-author T.L. Burns. They are currently working on the sequel to “What She Knew,” the fast paced novel that finishes telling the story. 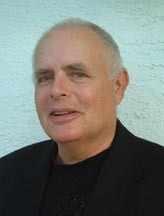 Hughes enjoys working with budding writers and tutoring English. Her passion is for at-risk teens. She volunteers to help teens realize their potential and find their passion. Hugheshas two grown children, Justin and Kayti, and two four legged girls, MayZee and Ruthie. Find other works by thisauthor in the Historical Romance section, pen name is Kymber Lee,”Treasured Love” is a fun romp written in Regency England in 1811.Lee (Hughes) wrote this novel for her grandmother who is a huge supporter ofher work. As Burns’ co-author puts it “She is the foremost researcher and historical guru for our novel “What She Knew.” The novel was just released March of 2012 and they are busily working on the sequel, “What She Knew Too, The saga continues.”You can learn more about them at their website http://www.whatsheknew.com. Burns passion is for at-risk families. She volunteers her time to help the needy, not wih a hand-out but with a hand-up. She is married and has two grown sons (best sons in the whole world) and one 4 legged son, Binford! Welcome to my blog as, once again, we host someone here today. I’ve got the privilege of showing off Scott Seldon’s newest book, Pirates of I’ab! With three completed novels and a collection of short stories, I found it challenging to pick a excerpt that can stand on its own without too much explanation. I think this is probably the best one. The stage is easily set. Captain Ven Zaran is finishing out a contract for a fellow trader in a sector known for piracy. Ven isn’t easy to catch and has eluded the pirates and caught the attention of their leader. And now, from my upcoming release, Pirates of I’ab, the first face to face meeting of protagonist and antagonist. Rather than waste their time on the return trip, Ven decided to see if there were any cargos in need of transport that were headed in their direction. As soon as the cargo hold was empty, he and Laren set off to cover the port bars to see of they could get any leads. It was worth an hour or two of inquiring. Ven wasn’t having much luck in the bars he’d chosen to visit. “I hear you are an independent trader,” A man said as he came up to him. Something about the man disturbed Ven. He was about fifty with close-cropped hair and a prominent moustache. Something about his demeanor made Ven nervous. “Not usually. It depends on where you do business. Like anything else, it can be dangerous if you aren’t careful.” Ven’s internal alarm was going off. Something about this man seemed familiar. Then it hit him and he went cold. That was exactly the hairstyle and moustache type that the pirate Jippol had worn. What had Jolar said, that Jippol copied everything that the Dolf did, even his look. They were in a public place so Ven decided to bait him. A dangerous thing with this man’s reputation. “The most dangerous thing are the pirates. But if you play it right, even they aren’t anything to worry about.” Ven saw the color rise in the man’s faced and knew he was right. This was Ranmil X’lan, Dolf for the Pirates of I’ab. “Oh yes. I have the best crew. I hired them because they are the best and they stay because I am the best captain in the business.” Ven didn’t usually brag, but he had heard some of his crew say it. He wouldn’t agree. He’d worked for Karnock and thought he was the best and still strived to be half as good as he’d been. But he knew making such a statement would just bug this pirate sitting in front of him. “I never have.” When Ranmil didn’t reply to that, Ven got up and left. Today on my blog, we are answering the age-old question of writers EVERYWHERE. Are you a pantser or a plotter? Every book goes through a process that results differently to each reader. The production of which varies both from book to book, and author to author. Some are what are referred to as plotters, while others are what are referred to as pantsers, and yet other authors write with a bit of both. I’d like to think of myself as a pantser but I believe I’m more of a hybrid. I’ll explain why I say this, after I first explain what I mean by the terms. Plotter – this is an author who plans out the skeleton of the book, series, life of a character long before the pages weave together into a story. This means that before the first real story word is created the author has dedicated themselves to the story, researched information and produced a solid idea for what they are creating. Now, not every story adheres to this kind of format, so most authors are flexible regarding their plotting system, but it is a planned book none the less. Pantser – this is an author who creates from the first word all the way through, taking needed notes along the way for coherency, consistency and details they can’t afford to confuse by the end of the creation. They are writing by the seat of their pants. Sounds pretty simple, and for the most part it is, but I can tell you from experience it lends itself well to major plot holes, character changes without explanation and details that are beyond comprehension. This is what the notes help with. When the revision process begins, a pantser refers to those notes and makes the glaring adjustments long before anyone else sees the story. Why am I a hybrid? I start my stories with the end in sight. I’ve visualized how each book should complete before I finalize it. I also know what major hurdles the characters have to overcome prior to the first words being created, however I don’t know how they will get there or what will be involved with it until I begin to write. I don’t often know where the lives of my characters will lead moment to moment, or why a character is going to make choices until the choices are made. It is an adventure for me, my characters and my readers as well. This hybrid process enables me to flood the pages of a book along a given path toward the final destination, without knowing the twists and turns along the way. It’s a lot of fun. I love creating what I do, how I do. I’ve learned from some of my friends that they will read the last page of a book before reading the first. Do you do this? Do you have to know where the book will end, before you read it? 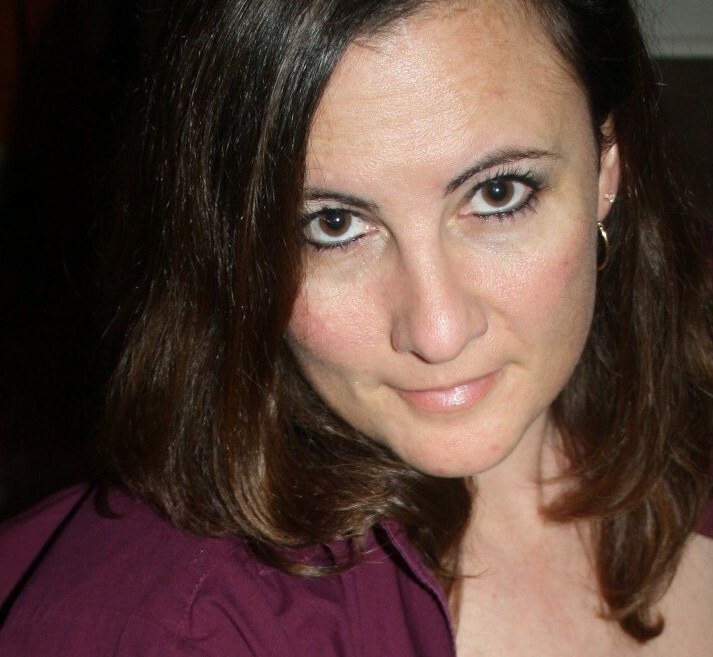 Catrina Taylor is a single mom and a science fiction author with a love of words that draws her into fictional creations daily. 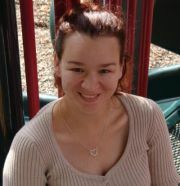 Playing with her children, reading books and developing strong characters are passions that are unyielding in their day. 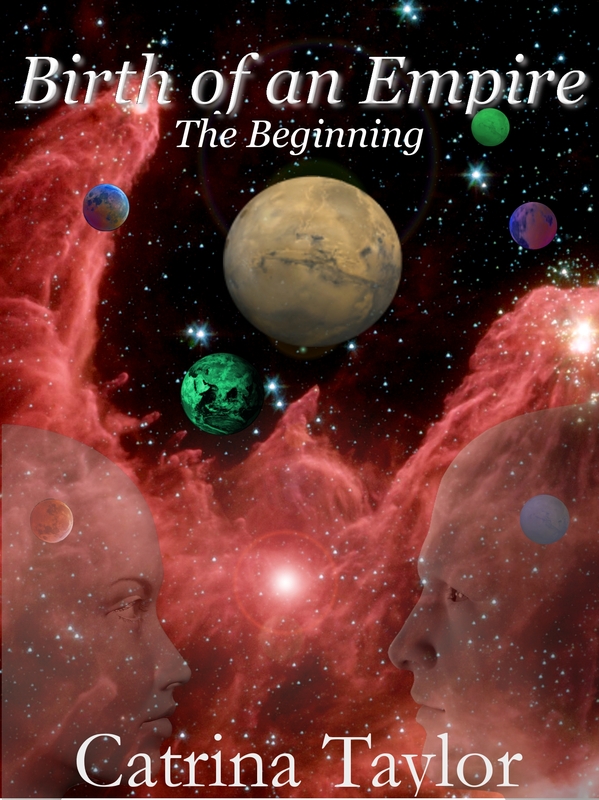 Her fictional universe around Xarrok beckons her generation after generation, commencing with Birth of an Empire: The Beginning and continuing across five more generations. Her currently available releases are Birth of an Empire: The Beginning, Below the Surface and Change by Design. Each crafted science fiction story is part of a greater universe, and series. Adding to both the short story series and the main introduction series later this year, Catrina has three more titles nearly ready for release. Consequences is the next book in the Birth of an Empire series. MindTricks and Through Anguish detail the stories of Keydra Tan and Zaren Rixx, and their recruitment into the Xenonian Psionic Corps. All three stories will be available by September first.